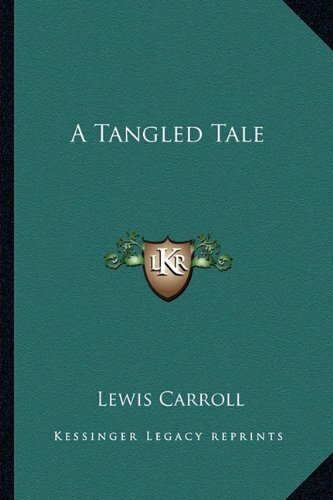 This book combines fairly challenging math problems with Lewis Carol's wit and fantastic humor, which makes the book readable even without the mental challenge. The writer's intention was to embody in each Knot one or more mathematical questions - in Arithmetic, Algebra, or Geometry - for the amusement of the readers. Collection of various activities placed in three categories: puzzles, patterns, or curios. The puzzles exercise the use of various problem-solving and logical skills as taught in mathematics and English. Many of the patterns are mathematical in nature. This fascinating look at combinatorial games, that is, games not involving chance or hidden information, offers updates on standard games such as Go and Hex, on impartial games, and on aspects of games with infinitesimal values. A good puzzle should demand the exercise of our best wit and ingenuity, and although a knowledge of mathematics is often of great service, yet it sometimes happens that a kind of natural cunning and sagacity is of considerable value. The object of this book is to afford recreation for an idle hour and to excite the interest of young students in further mathematical inquiries. The topics discussed have therefore been selected with a view toward interesting mathematical amateurs.